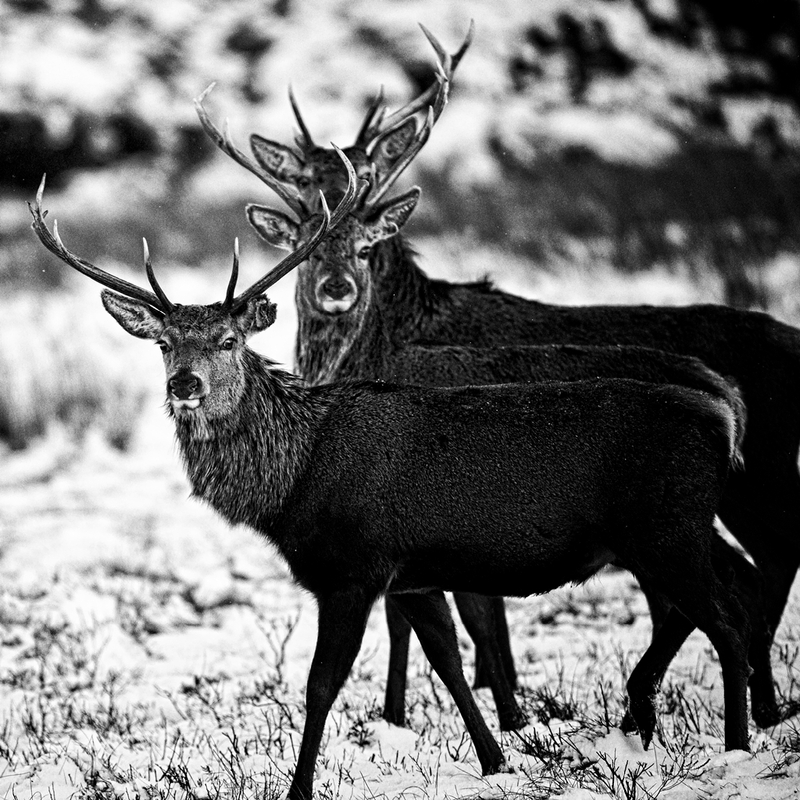 This time of year the red deer in the highlands are not looking their best. 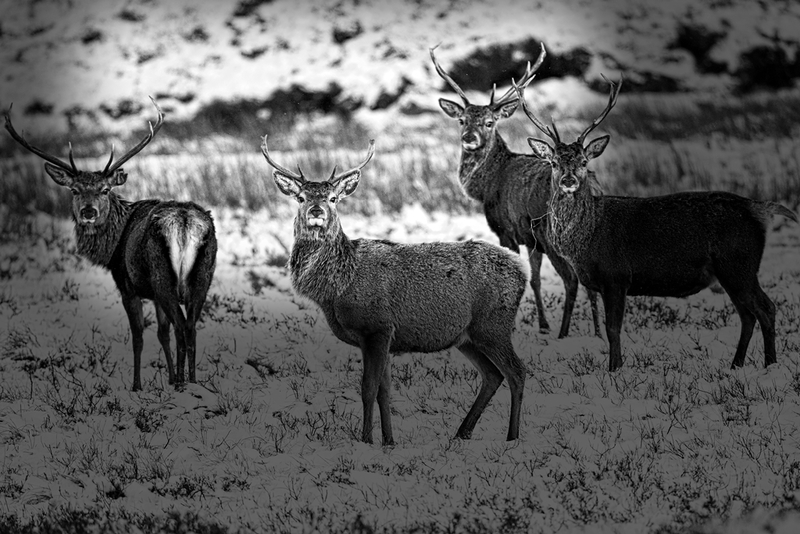 Having got themselves all preened up for the pre Christmas rut their coats gradually become more scruffy as they see through the winter. 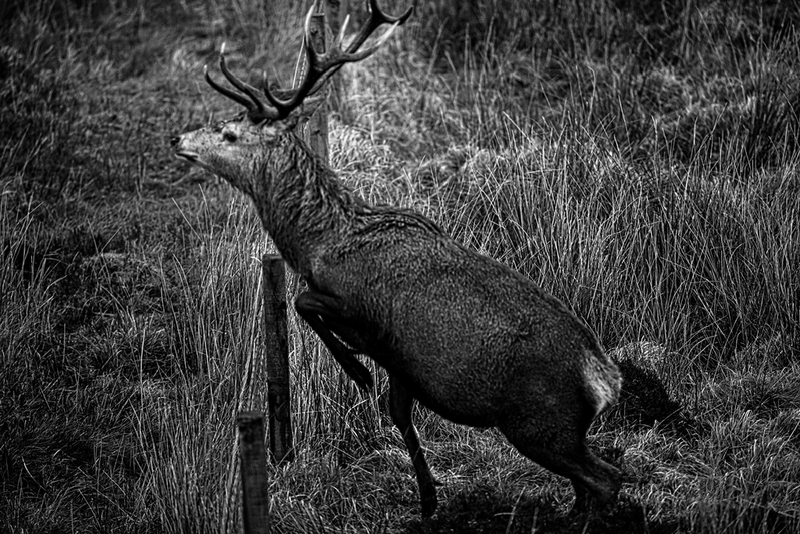 However though the coats of the stags in particular lose much of their beautiful rustic colour they lose none of their majesty for this. 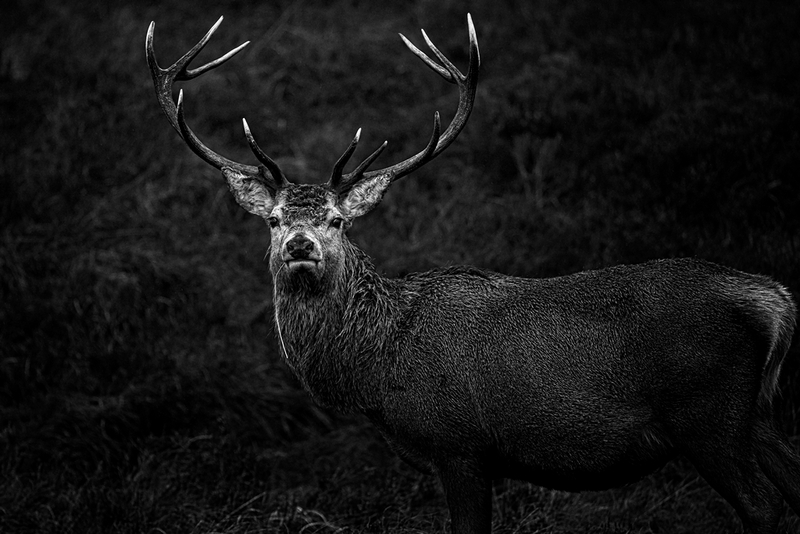 A recent trip North towards Assynt gave a few opportunities to get out with the camera and up close to the deer that are currently down from the hill tops. I have deliberately chosen black and white as it shows their structure well and with the ground cover mainly snow or flattened heather there wasn't too much colour to go around. Even the clouds, bringing not infrequent snowy squalls were flat and grey. The images in this blog are from two separate herds - one North of Ullapool and a more local herd to me near Achnasheen. 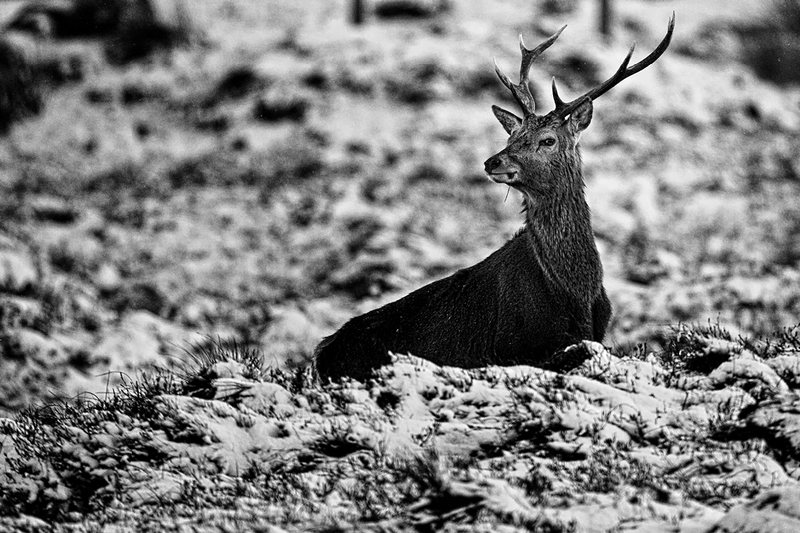 Ten images in all which include a couple of close up head portraits and other portraits of the deer in their landscape.